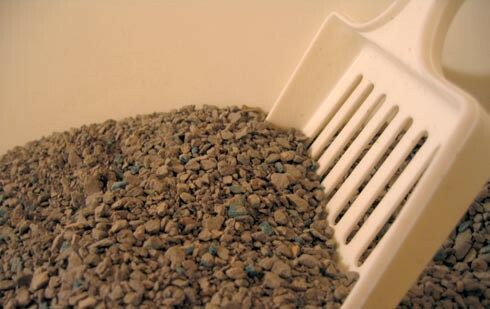 Is Your Cat Not Using The Litter Box? Rascal here recuperated on Royal Canin Urinary SO Diet. The cat is suffering from a medical problem involving the urinary tract. The brand or type of litter has been changed. The litter is too perfumed or dusty for the cat’s preference. The litter box is not kept as clean as the cat would like. The cat inadvertently gets locked out of reach of the litter box. There are too many cats and not enough litter boxes. The home is too large for just one litter box. (especially important for kittens and senior cats). The location of the litter box is too busy or not private enough for the cat. The cat does not like using a covered litter box. The litter box is not large enough for the cat’s preference. The cat experiences a bout of geriatric constipation. The owner changes the location of the litter box. The litter box has been changed. The cat is kept from using the litter box by another animal in the house. There are too many cats and not enough territory. Stray cats can be seen out a window or smelled through a screen near the cat’s territory. The un-neutered male cat has come of age and is marking his territory. The un-spayed female is in heat and advertising for suitors. Over time, the cat has developed an aversion to the texture of the litter. The cat was never properly trained to use the litter box in the first place. The cat is stressed by a change in routine or environment, including a new baby, new furniture, work schedule changes, vacations, overnight guests, or a move. If your cat is eliminating outside of the litter box, and you can rule out the above reasons, the next step you should take is to have your cat evaluated by Dr. Gerds. It is important to note that if your cat is having elimination problems for any reason, once the initiating cause has been treated or addressed, the cat’s behavior may have become a habit and not readily stopped. This is one reason why the sooner you seek help for the problem, the greater the likelihood that the problem can be turned around. When cleaning up any accidents, it is important that the cat does not keep returning to the spot because he/she is continuing to detect and be attracted to the odor. We have an odor neutralizer that will remove the odor, not just cover itup. Remember also that many cleaners contain ammonia--which is a normal constituent of urine. That only makes matters worse. At Advanced Care Pet Hospital we can help determine the cause of the abnormal elimination and discuss treatment options withyou. There are a number of different diagnostic options available and numerous treatments depending on the cause(s) determined. Advanced Care Pet Hospital, "Caring For People Who Care For Their Pets"
Our mission is to be the veterinarian you recommend to friends with pets. We treat your pets as we treat our own. We treat you as we want to be treated ourselves. Providing excellence in veterinary care & customer service for you and your pets.